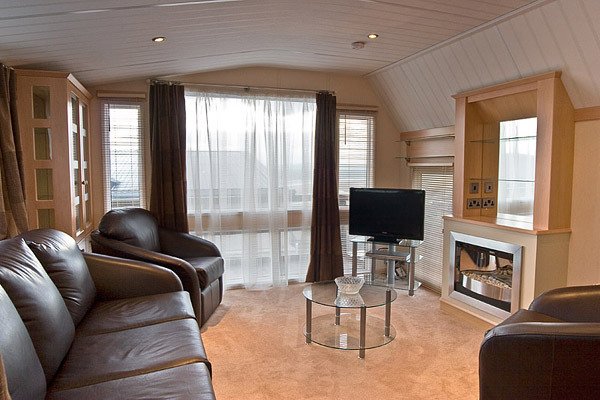 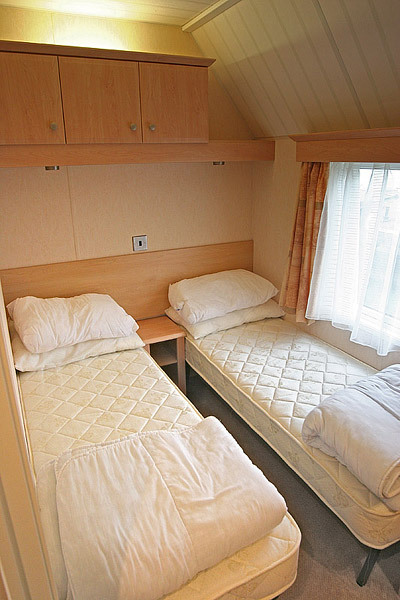 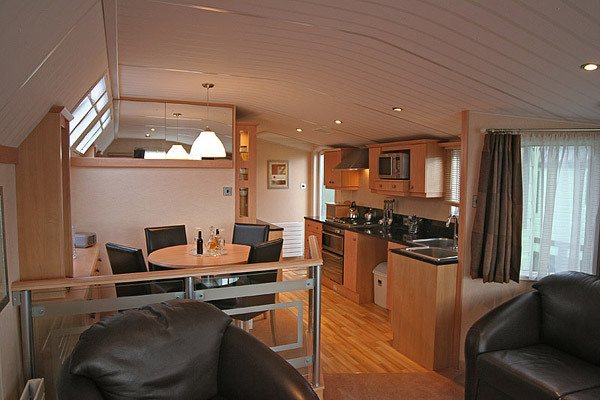 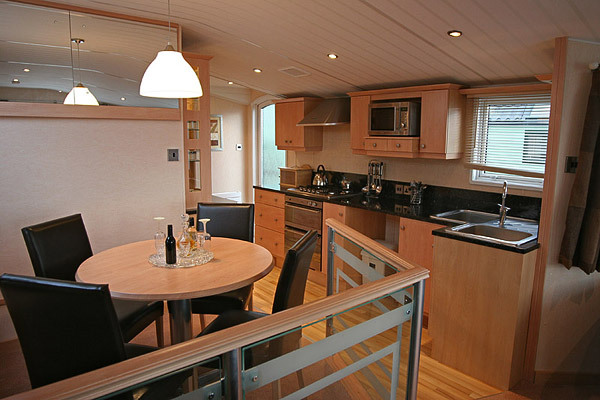 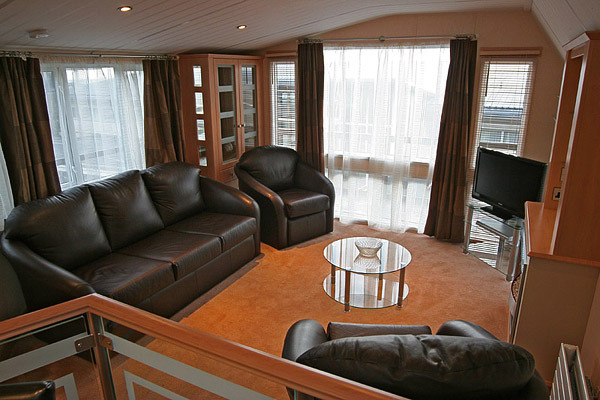 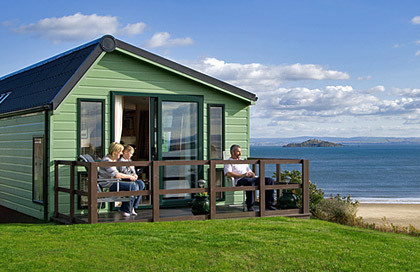 Our 5 star executive caravan is an exceptional holiday home that is certain to impress. 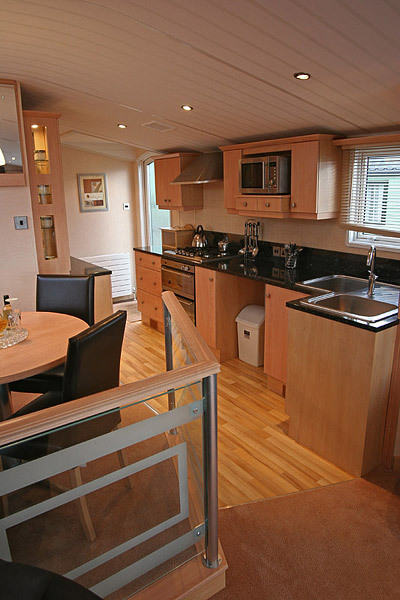 The contemporary interior is beautifully finished and stylishly decorated. 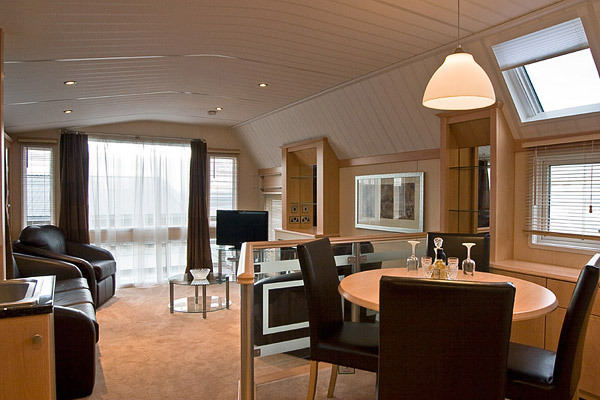 Designed with high vaulted asymmetric ceilings and atrium-style floor-to-ceiling windows, the living area has a bright appeal and a wonderful feeling of space. 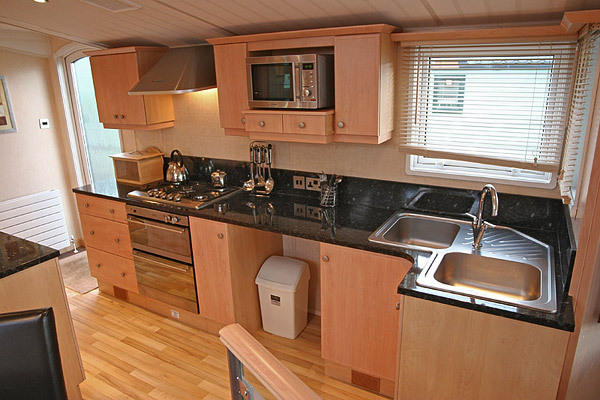 The stunning kitchen includes an integrated high-level oven and grill, a separate hob, an integrated fridge freezer and a breakfast bar with stools. 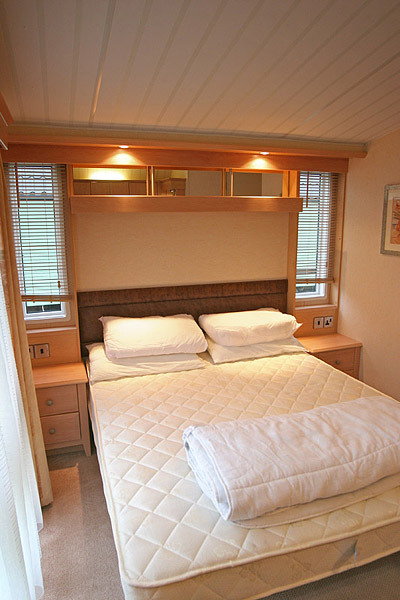 The master bedroom boasts a sizeable en suite bath or shower room with WC. 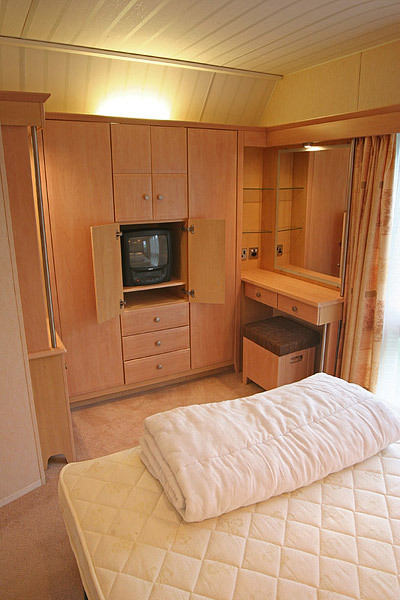 When it comes to modern luxury, the 5 star executive caravan is unsurpassed.